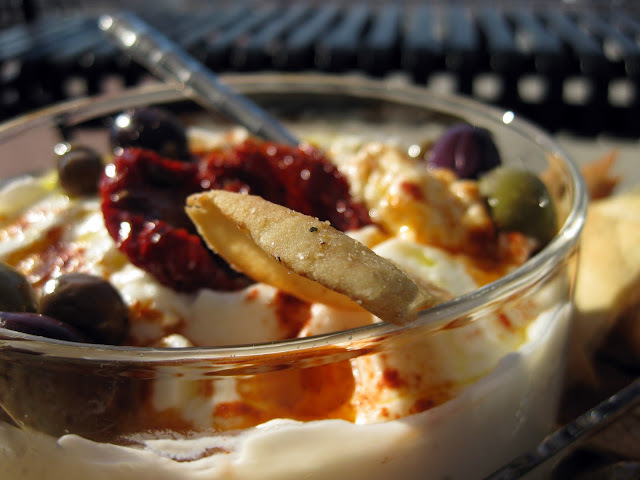 Note: This is a companion post to the Labneh (Yogurt Cheese) Recipe. As much as I liked the labneh I recently made and served up to a crowd of friends, I think more people were excited about the pita chips. Not only did I have an endless pita chip supply (which delighted people), but they were perfect: crunchy, toasty, salty, and seasoned with delicious spices. At least one person remarked that they hadn't realized you could make your own pita chips at home. That remark surprised me . 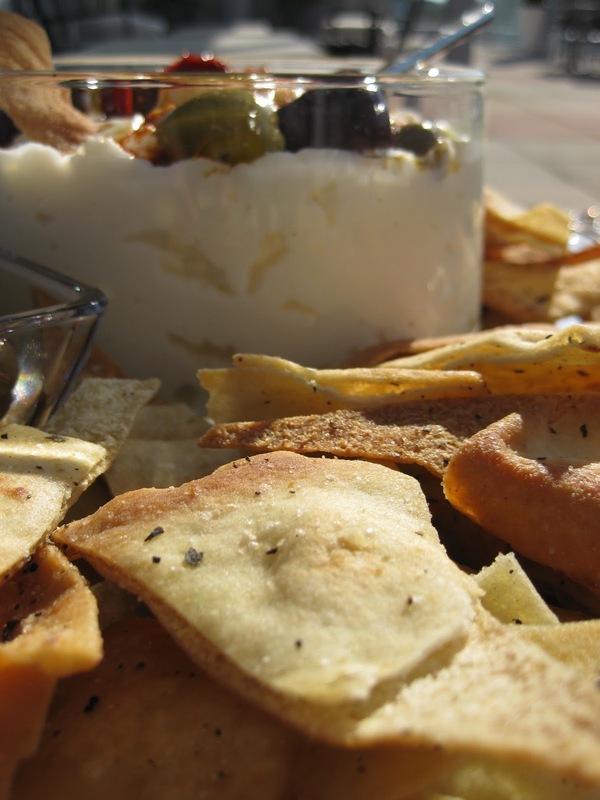 . . so in this post, I provide a recipe to demonstrate how quick and easy it is to make pita chips at home. I'm not sure how my pal never connected the dots between pita bread and pita chips. 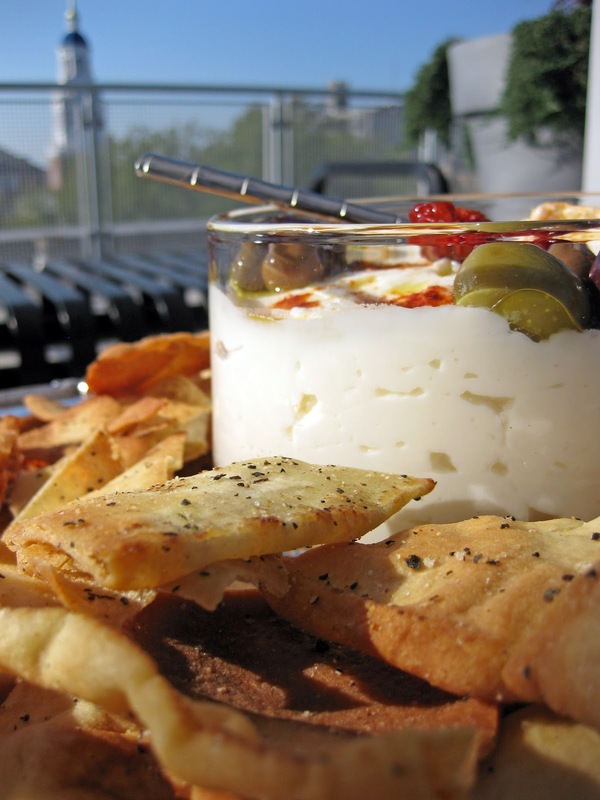 For those not in the know, pita chips come from pita bread. The general idea is to just take pita bread, lightly oil it, season it, and toast it in the oven. Details follow. And, if you wanted to go all out, you could take the added step of making your own pita bread at home. I've done it; it is delicious. In any case, these were really good, and you CAN make them at home. The recipe is below! Preheat oven to 400F (200C). Cut each pita bread into 8 triangles and place the triangles in a large bowl. In a small bowl, combine the oil, pepper, salt, and basil. Pour the oil mixture over the pita breads. Turn the breads over with your hands and mix them thoroughly until each bread is coated in oil. Be sure to rotate the bread triangles from the bottom of the bowl to the top and vice versa while mixing. Place triangles on lined cookie sheet. Bake them in the preheated oven for 5 to 10 minutes, or until lightly browned. Keep a close eye on the chips - they burn easily. Serve them with hummus or the dip of your choice.